Farm safety is showing up in an unlikely place this fall: big-city independent film festivals. “SILO: Edge of the Real World” is billed as a meditation on life in a small Midwest farm town disrupted by a grain entrapment. Released in September, the film is a 10-minute documentary “short” that was made as a companion piece to a full-length narrative feature film, called “Silo,” that’s scheduled for production in 2018. 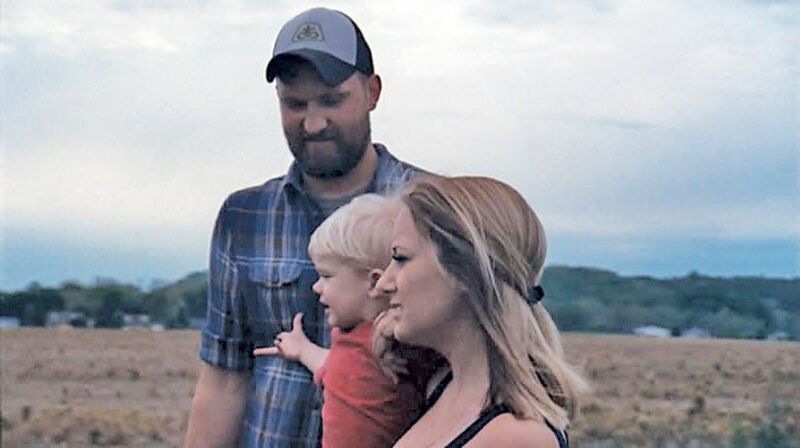 The documentary centers on two young men considering the risks and rewards of being grain farmers in the wake of an entrapment fatality. Adam Fox, 29, is a partner in his family-operated grain farm near Rising Sun, Ind. ; Clay Althoff, 18, is a senior at Switzerland County High School in Vevay, one town over. The film’s director, Marshall Burnette, hails from rural Tennessee. On his way home one night in 2013, Burnette heard a National Public Radio segment about the 2010 deaths of Wyatt Whitebread, 14, and Alex Pacas, 19, who were engulfed inside a bin while walking down grain at their jobs in Mount Carroll, Ill. A third employee, their friend Will Piper, 20, was rescued and told the story. Although Burnette was familiar with cattle, tobacco and produce farms near his hometown, the Illinois fatalities were the first grain entrapment deaths he had heard of. The account had a powerful effect on him, he explained in a recent Farm to Table Talk podcast interview. So much so that he spent “a couple years” researching grain entrapment fatalities, learning that the Illinois tragedy was not an isolated or rare event. Burnette was struck by how quickly entrapment occurs and how deeply these preventable fatalities affect entire rural communities. The more he learned, the more the idea of a film stuck with him. Burnette pitched his film idea to New York producers Sam Goldberg and Ilan Ulmer. That was the beginning of the core team for the feature film project. In order to raise money to make a feature film, a “proof of concept” mini version of the film is often made to demonstrate what the bigger movie will be about. But in this case, Goldberg and Burnette opted to make a short documentary to introduce the subject, a way to convey both emotion and fact. Goldberg says that at first, there’s a “healthy skepticism” when a guy from New York shows up to make a film on rural communities and production agriculture. But the farms, communities and documentary subjects were all on board. Farmer Adam Fox introduced them to Clay Althoff, which led to additional connections with a local fire department and high school. National grain entrapment expert Bill Field of Purdue University served as a consultant, and the University of Kentucky’s Southeast Center for Agricultural Safety and Injury Prevention developed a thought-provoking discussion guide to accompany the film, designed for use with high school ag education classes and community members. The short film will play in high school classrooms this fall thanks to collaborative partnerships with the University of Kentucky Ag Education program, the Southeast Center and Kentucky FFA Foundation. Brandon Davis, agricultural education state supervisor and Kentucky FFA state advisor, and Stacy Vincent of the Southeast Center noted that Goldberg was great to work with in getting the documentary into Kentucky ag-ed classrooms. Part of Goldberg’s passion about the project — in addition to creating a platform to share awareness of entrapment hazards and draw attention to safety — is using storytelling in film to build bridges between rural and urban, food producers and consumers, coastal regions and Middle America. “We want to make stories that are earnest and wholesome — there’s beauty and art in that,” he said. Interest and support — and even curiosity — have been high in response to the documentary across rural and non-rural viewers, ag industries and those unfamiliar with ag production. One of the aspects that excites Burnette about the project is highlighting the heart and soul of the farming community — people who love what they do and their way of life. The film team is currently polishing the feature film screenplay in anticipation of starting production next summer. They are also in the throes of fundraising, location scouting and logistical preparation for what they believe to be a story with potential for incredible impact. To request the discussion guide created for “SILO: Edge of the Real World,” contact Dr. Stacy Vincent at stacy.vincent@uky.edu. Stephanie Leonard is an industrial hygienist at the University of Iowa. Reach her at stephanie-leonard@uiowa.edu.